Q-Connect Screen & Keyboard Wipes (Pack of 100) KF04501 Pack of 1 Q-Connect Screen and Keyboard Cleaning wipes. 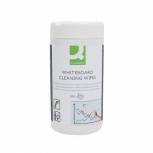 Pre-moistened wipes with anti-static formulation to prevent dust build up, ideal for screens and screen filters. Handy pull-through resealable tub prevents wipes drying out. Tub 100. 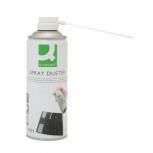 Q-Connect HFC-Free Air Duster 400ml 175-50-028 Pack of 1 Pressurised, HFC free air duster perfect for keyboards, cameras and difficult to reach areas. Ozone Friendly. 400ml. 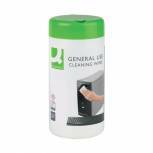 Q-Connect General Use Cleaning Wipes (Pack of 100) KF04508 Pack of 1 Q-Connect General Use Cleaning Wipes. Powerful formula cleans telephones and other office equipment. Pack 100. Q-Connect Screen & Multi-Purpose Wipes (Pack of 100) KF04503 Pack of 1 Q-Connect Screen and multi-purpose Wipes. Suitable for all hard surfaces, lifts stubborn stains, ingrained dirt, grease and static. 400ml. 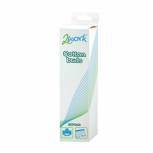 2Work XL Cotton Bud (Pack of 100) DB50346 Pack of 1 Cotton buds for cleaning. Soft cotton tip for removing dirt and dust. Extra-long wooden sticks for accessing tight spaces. Use with water or cleaning fluid for stubborn stains. Ideal for cleaning electrical equipment. Pack of 100. 2Work Anti-Static Screen Cleaning Wipes (Pack of 100) DB57099 Pack of 1 Anti-static wipes for cleaning monitors, laptops, PDAs and screen filters without smearing. Also suitable for glass surfaces on scanners and photocopiers. Contains 100 Lint and alcohol free wipes. 2Work Anti-Static Screen and Telephone Wipes (Pack of 50) DB50342 Pack of 1 Anti-static wipes, individually wrapped for gentle and streak-free cleaning of monitor screens, laptops, PDAs and screen filters. Also suitable for glass surfaces on scanners and photocopiers. Q-Connect Wet and Dry Wipes (Pack of 20) KF32148 Pack of 1 Q-Connect Wet and Dry Wipes. Pre-moistened wet and dry polishing wipes with a non alcohol formula designed specifically for use on all screens including laptops. PDAs and touch screens. Q-Connect Whiteboard Cleaning Wipes (Pack of 100) AWBW100QCA Pack of 1 Q-Connect Whiteboard Cleaning Wipes AWBW100QCA. 100 pre-saturated wipes in a handy tub dispenser. Q-Connect HFC Free Air Duster 200ml Invertible AHFC200QCA Pack of 1 Q-Connect HFC Free Air Duster 200ml AHFC200QCA. For cleaning hard to reach areas including computer keyboards. Invertible for ease of use. Comes with free extension tube. Flammable. 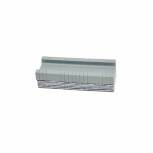 Q-Connect Peelable Board Eraser APBE01QCA Pack of 1 Q-Connect Peelable Board Eraser APBE01QCA. High quality multi-layered felt. 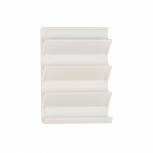 Q-Connect Universal Whiteboard Pen Holder White AUWP001QCA Pack of 1 Q-Connect Universal Whiteboard Pen Holder AUWP001QCA. Horizontal design for up to 4 markers. Magnetic & Self-adhesive back for easy application. 2Work Label Removing Fluid With Brush DB50590 Pack of 1 2Work Label Removing Fluid. Removes adhesive paper labels. Leaves no residue. With brush applicator. 200ml. 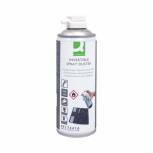 2Work Invertible Spray Duster 200ml DB50462 Pack of 1 Invertible flammable, ozone friendly pressure duster removes dust from hard to reach areas on computer equipment. perfect for keyboards, printers, cameras etc. 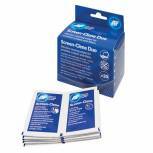 AF Screen-Clene Duo Wet/Dry Wipes (Pack of 20) ASCR020 Pack of 1 AF Screen-Clene Duo. Pack of 20 sachets of wet/dry wipes suitable for use on TFT and LCD screens. Packed in a dispensing box for attaching to any workstation. AF Phone-Clene Telephone Wipes Tub (Pack of 100) APHC100T Pack of 1 AF Phone-Clene Wipes. Phone cleaner containing strong bactericide. Ideal for hot desking to reduce cross contamination. 100 wipes in a resealable tub. 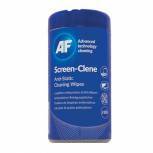 AF Screen-Clene Anti-Static Screen Wipes Tub (Pack of 100) ASCR100T Pack of 1 AF Screen-Clene Wipes. 100 pre-saturated wipes in a re-sealable tub. Suitable for monitor screens and filters. Q-Connect Whiteboard Pen and Eraser Holder AWPE001QCA Pack of 1 Q-Connect Whiteboard Pen and Eraser Holder. Compact holder keeps whiteboard pens and eraser conveniently at hand. 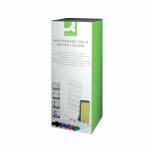 Includes 1 x whiteboard eraser and 6 drywipe markers in assorted colours. 2Work Hand Cleaning Wipes (Pack of 100) AHCW100TWK Pack of 1 2Work Hand Cleaning Wipes AHCW100TWK. Ideal for use after handling toner or ribbons. Alcohol free. Tub of 100 wipes. Q-Connect Keyboard and Surface Cleaning Kit AKSC000QCA Pack of 1 Q-Connect Keyboard and Surface Cleaning Kit. Specially formulated to help remove marks and grime. Suitable for use on plastic PC casings and keyboards. 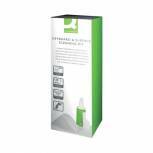 Kit includes 1 x 125ml multisurface cleaner 20 x lint free wipes and 1 x keyboard cleaning tool.